For some time now I have been working on developing a range of Finger Puppet Sewing Kits. I am so excited to announce that they are nearly nearly ready for sale! 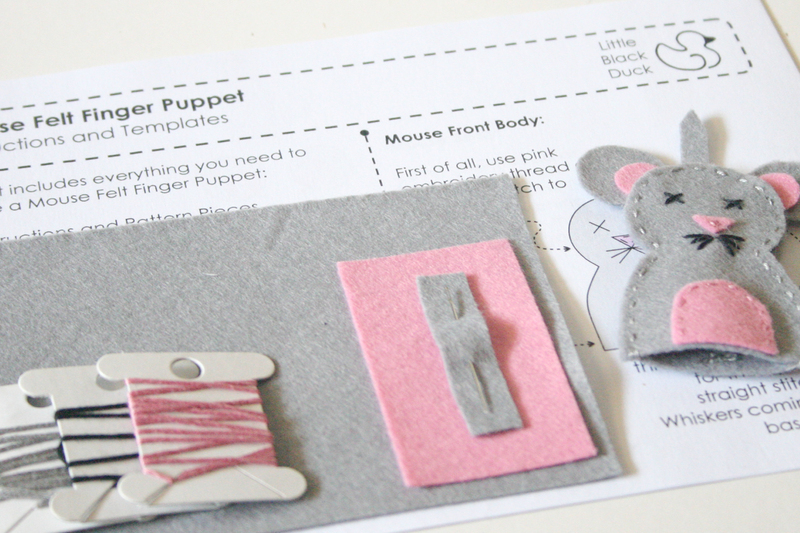 I know you must be chomping at the bit to buy a Mouse Finger Puppet Kit and get sewing, but hold on! Before the kits are unleashed into the big wide world of crafting I want to test these kits on a few unsuspecting guinea pigs…. If you are interested in being an official Kit tester then please leave a note in the comments and I’ll get in touch to sort out your address details so that I can send you a free kit to try out. All I will ask of you in return is some feedback on the kit. I would love to be a pattern tester for you. I would love one…but I don’t blog anymore (gave that up when I became a mom) so could write a review, but not sure if anyone would read since I haven’t written anything in two years! i am sure you have enough testers by now, but if not then I would love to have a go. it looks really cute. It would go to a friend afterwards for her daughter. If you need anymore testers, please contact me. thanks!